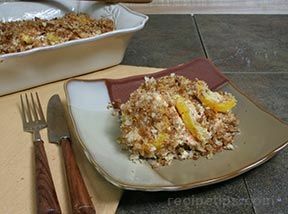 Delicious side dish using summer squash and carrots. Cook squash and onion in boiling water for 5 minutes; drain. In large mixing bowl mix together soup and sour cream, stir in shredded carrot. Fold in squash and onion. In medium bowl combine stuffing mix and melted butter. Spread half of the stuffing mixture on bottom of baking dish. Spoon squash mixture over stuffing. Top with rest of stuffing. Bake for 25-30 minutese. Enjoy!